Home > Cory Wong > EveryTHING bLOWs! – available now!! 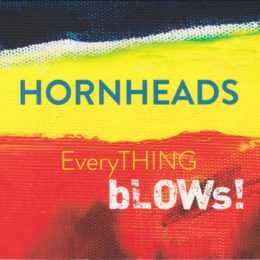 The Hornheads latest CD EveryTHING bLOWs! has been released. Get you physical copy at CD Baby now. “Side A” features the Hornheads signature “a cappella” jazz / funk sound, while “Side B” brings in a funky, high energy rhythm section featuring special guests, Vulfpeck guitarist Cory Wong, and Serbian phenom Petar Janjic on drums.